chaskabookstore has no other items for sale. The Last Command (Star Wars: Thrawn Trilogy, Vol. It's five years after the Rebel Alliance destroyed the Death Star, defeated Darth Vader and the Emperor, and drove the remnants of the old Imperial Starfleet to a distant corner of the galaxy. Princess Leia and Han Solo are married and expecting Jedi twins. And Luke Skywalker has become the first in a long-awaited line of Jedi Knights. But thousands of light-years away, the last of the Emperor's warlords, Grand Admiral Thrawn, has taken command of the shattered Imperial fleet, readied it for war, and pointed it at the fragile heart of the New Republic. For this dark warrior has made two vital discoveries that could destroy everything the courageous men and women of the Rebel Alliance fought so hard to build. It's five years afterReturn of the Jedi:the Rebel Alliance has destroyed the Death Star, defeated Darth Vader and the Emperor, and driven out the remnants of the old Imperial Starfleet to a distant corner of the galaxy. Princess Leia and Han Solo are married and expecting Jedi Twins. And Luke Skywalker has become the first in a long-awaited line of Jedi Knights. But thousand of light-years away, the last of the emperor's warlords has taken command of the shattered Imperial Fleet, readied it for war, and pointed it at the fragile heart of the new Republic. For this dark warrior has made two vital discoveries that could destroy everything the courageous men and women of the Rebel Alliance fought so hard to build. The explosive confrontation that results is a towering epic of action, invention, mystery, and spectacle on a galactic scale--in short, a story worthy of the nameStar Wars. Sales tax may apply when shipping to: AL(8.0%), IA*, MN*, WA*. Great product! Fast shipping! Great price! Outstanding seller! A++! Thank you! Arrived fast, great quality, thanks a bunch! Good introduction to the new characters of Thrawn and Mara Jade. 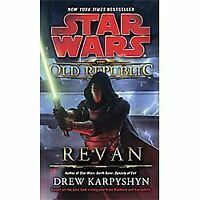 This series launched the Star Wars expanded universe of novels and stories. 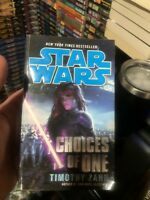 I bought it so I could read about Mara Jade, who is a character I knew nothing about except what my friend told me.It sounded interesting so I bought the series. 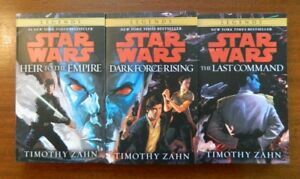 Also Timothy Zahn will be author guest of honor at ConGlomeration 2019 in Louisville this year, so I will see if he will sign them for me. Star Wars Extended Universe at it's best! Enter the Expanded Universe properly! The Thrawn Trilogy is probably the best trilogy within the old Star Wars Expanded Universe. If you or someone you know wants to enter the EU, reading this trilogy is the way to do! It still has all of the old characters from the movies we love (most of them) but Thrawn may be the best character of them all! Received just like as it is portrayed from the photos. From one Star Wars fan to another, thank you.